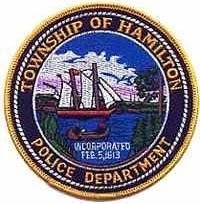 On December 31, 2013 at approximately 5:45 p.m., the Township of Hamilton Police responded to the Hamilton Mall parking lot area for a report of a man that was attempting to push a victim into a van and had also entered the van himself. While responding, police units were updated that a witness had interceded and was now chasing the suspect on foot. Another witness updated police over the phone where the suspect was running and gave a description. Ofc. McElrea was first to arrive and located the suspect outside by Sears Merchandise Pick Up. He placed the suspect, Willie White Jr., age 52, of Absecon NJ under arrest. After an investigation, Mr. White was charged with Attempted Car Jacking, Criminal Restraint and Simple Assault. Hon. Judge Switzer issued the warrants at $100,000.00 full cash bail. Mr. White was lodged in Atlantic County Jail in default of bail. No one was injured. The case is being investigated by Ofc. McElrea and Det. Sgt. Gehring.